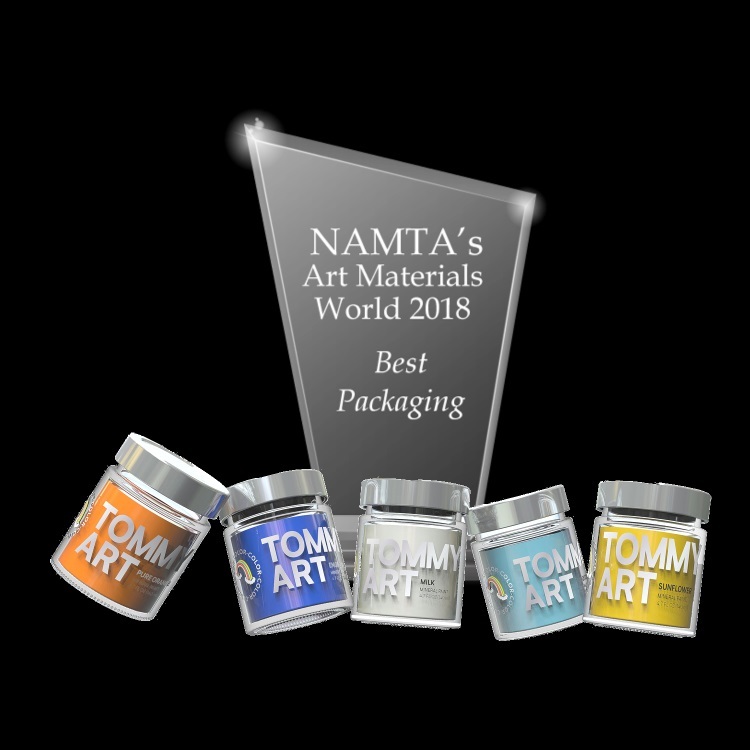 DALLAS - March 20, 2018 - PRLog -- Imagination International Inc. (iii) received awards in two categories at the annual convention for The International Art Materials Association - NAMTA®: best packaging and a special recognition for new product design. Award Recipients were chosen by a group of Retail Judges with expertise in the art materials industry. Winners were announced at the Art Materials World convention in Dallas, TX. The convention is attended by hundreds NAMTA members in the art/creative materials industry, including retailers, manufacturers, distributors, importers, and independent reps from around the world. "The Tommy brand design's genesis was first one of realizing that this product line was bigger and more diverse than a specific shabby chic application and actually provided a really broad set of tools for every DIY maker and artist. We needed the package design and brand language to instantly speak to a wider audience with a diverse set of aesthetics. More than anything, the Tommy Paint system is fun, imaginative and opens the door to possibilities. Now the brand and packaging clearly embraces the product's core value." "The Everyday Easel and our Thibra moldable thermoplastic were the talk of the show! Retailers and distributors alike flocked to our booth to learn about the new innovative products. We're very proud of our team and all their dedication to bringing these new brands to life. These new brands are rejuvenating the art industry."